There are better drills but trust me, you don’t need them. What you do need is a radio that both runs off of and charges your batteries, and right now DeWalt is the only game in town. 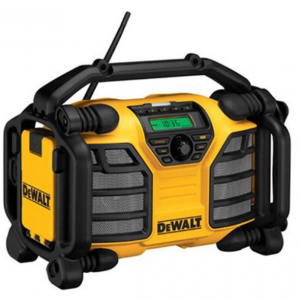 Through the magic of patents, the radio as a charger is only available through DeWalt at this price range- and it’s the price range that works for the average persons needs. Black outs, camping, tailgating, nothing beats having two or more fully charged drill batteries to work with for days of use.